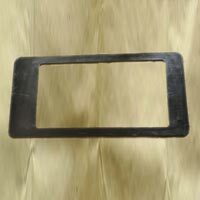 We are a prominent Manufacturer, Exporter and Supplier of Coke Oven Gaskets. The Coke Oven Gaskets are manufactured with advanced technology to ensure long life. The Coke Oven Gaskets are stringently tested for optimum performance. The Coke Oven Gaskets are widely used in Coke Plants, Industrial Coke Plants and Coke Process Plants. The prices for Coke Oven Gaskets are quite reasonable.